Sumac is a very well known spice in the Middle East specially in Al-Sham area – that is Palestine and the nearby countries. It has a desirable tart taste that adds flavor to almost any dish. 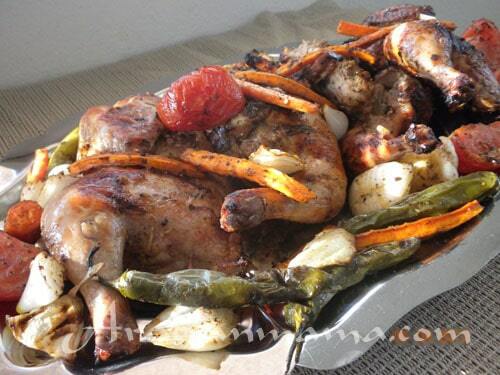 Today, I substituted the freshly squeezed lemon juice with sumac marinating chicken and vegetables.